With the broad range of career paths available to real estate professionals, each agent has a different story to tell. In this series, we bring you the stories of successful individuals who’ve taken their real estate careers in various directions. We sit down with each of them to talk about how they got started in the industry and the twists and turns they’ve taken along the way. Read on to learn about Jeremy Burns, and his experience finding early success in a real estate career while breaking into the red-hot Raleigh, North Carolina, real estate market. Jeremy Burns has led an interesting life, to say the least. He ran security detail in Vegas, protecting the rich and famous, and made waves as a professional fisherman before taking the leap into real estate—and for him, there’s no looking back. Burns, an agent with Fonville Morisey in Raleigh/Durham, N.C., has worked some thrilling jobs, but he says he experiences a similar adrenalin rush now in real estate. “I enjoy the ‘thrill of the chase’ when it comes to finding a home or listing a home for a client. I am fortunate enough to assist people with what is most likely the biggest purchase of their life, and they are putting all their trust in me to make it happen,” he says. It’s perhaps that love of the “rush” that has helped the Michigan native thrive in the highly competitive Raleigh market. He weighs in on what’s it like to start a new career—and what he’s done to achieve early success. Q: When you decided to become an agent, did you take baby steps; for example, selling real estate just part time, or did you jump in and make it your sole gig from the get-go? A: I was very fortunate to be able to make real estate my sole profession from the time I started. I was involved with a commercial property that got bought for development, and I had the financial stability to give real estate 100% from Day 1. Q: Raleigh is a hot market. What was toughest about starting your business there? It is competitive; how are you differentiating yourself? A: I have a solid sphere of influence from family, friends and business associates, so I tapped that to get started. I was very grateful to a couple of friends who let me list their homes, and I was able to sell them quickly for 100% of list price. That said, I must compete to get business in this market because there are so many agents who have been doing it much longer than I have. However, what clients really want is to sell their home quickly, for top dollar and with few issues, so it’s my job to walk into a listing appointment and sell my abilities. Most important, I want to prove that we can be business partners in the transaction. Q: How did you decide on a Fonville Morisey brokerage? What advice would you offer new agents who are looking for the right firm to work with? A: Once you become licensed, your mailbox will be full of letters from every company in town. I took the time to research firms and felt that Fonville Morisey, Wake Forest office was the best fit for me. It is a fun environment, but you receive help when you need it too. My Broker in Charge, Sam Pyrtle, is also a pre-licensing instructor, so he is always willing to take the time to make sure new agents understand every aspect of the transaction. My advice? Find a firm that aligns with your business plan and will guide you as you are just getting started. Q: You have a Certified Relocation Specialist designation. What does that involve? How is it helping you find buyer clients? A: A certified Relocation Designation is obtained through a post license course, which teaches the processes that are involved when buyers are moving here from another city. Sixty-five people move to my area every single day, so I thought it was a smart designation to obtain. As far as gaining clients, I understand the relocation process and what things they will need to consider when moving here [so it eases the transition for them]. Q: How are you using technology to both capture potential clients’ attention and provide them better service? A: I am more old school, so I have had to work hard to keep up with the digital world. I learned how to be my own web developer and manage my own website. I have improved since I started doing it, but I have to update it several times a week, so it takes some dedication to do it and do it right. If I don’t have the latest information on the site, it could potentially cost me business. Luckily, it’s easy to link my website to my social media accounts as well, so I don’t have to update all of them every time. It is just one expense that I can do myself without having to pay someone to do it for me. I also use social media. It is free, and so many people get their information through social media, I can’t imagine a new agent not using it and being successful. That said, I am also a big believer in direct mail. That piece of mail in your hand with my name on it in big letters will be something you hopefully remember. Ninety percent or more might end up in the trash can, but if just 10 percent get filed, it is worth every penny I put into it. Q: Describe your most successful day on the job so far. Why do you consider it a success? A: I landed a listing on a property that was previously listed with another firm for almost three months. It took some convincing that I was the right person for the job, but the owners finally agreed that they would give me a chance after our listing presentation. I sold the home in two days for 100 percent of list price. That was my best day because I did something that’s difficult to do and completed the transaction for them during a very stressful situation. Q: What was your worst day on the job, and what did you learn from that experience? A: I always feel lucky to be in this business, so I don’t have a “worst” day, but I can think of a time when I wasn’t exactly happy. I went to a listing appointment and presented to a couple who were moving out of state. We agreed that it would be great to work together and that I would prepare the listing paperwork. Unfortunately, another agent contacted them and told them she would list the house for $20,000 higher. So, of course, I get the call letting me know they were going with her, but I stood firm on what I told them their home was valued at in the market. After sitting on the market for almost four months with two price decreases, they finally sold it for almost exactly what I originally told them. That situation taught me so much about how I want to conduct business. I will never provide incorrect information—or lie—to get a client. I will be ethical and honest to everyone no matter the cost. Someone once told me that you can never go wrong by doing the right thing. I feel that even if I lose someone’s business, I will always do things the correct way. A paycheck is one thing, but your pride is more important. Q: If you could offer a new agent one piece of advice, what would it be? A: I would say be patient. I see many agents who come in and think they’re going to set the world on fire with sales numbers, but by month three they are ready to give up. They see the nice cars and lifestyles that some agents have and think they are going to have that in a year. For most agents, it takes two to three years before they start to see a strong and steady income. Make a business plan, trust the process, and hold yourself accountable to stay focused. This is a really easy business to get off track and not follow through with what you need to do. It is easy to take the day to go golfing or sit around and not make good use of your time. You need to make the decision on how much you will work and what you want out of it. 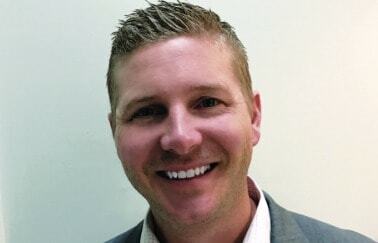 Connect with Jeremy at www.jeremyburnsrealestate.com, www.facebook.com/JeremyBurnsrealestate/, and www.facebook.com/Trianglehomefinder/.